Rolex Sports Car Series – July 8-9 The Mazda Raceway Laguna Seca in Monterey is hosting the eighth round of the 2011 Grand-Am Rolex Sports Car Series championship. After the event’s one-year hiatus, the season so far has been unpredictable, with multiple cars fighting to become the reigning champs. As this is one of the most competitive road racing championships in the country, it is only fitting that superstar drivers, famous teams, and a few celebrities will be present. This high-performance event is sure to bring out newcomers and longtime fans alike! Click here to purchase tickets and find out more about the event. California Rodeo Salinas – July 21-24 The 101st California Rodeo Salinas returns as an important summer staple at the Salinas Sports Complex. There will be numerous activities, such as parades, barbecues, fireworks, concerts, golf tournaments, and of course, the rodeo itself. There will even be an appearance from Miss California Rodeo Salinas! A carnival complete with fun rides, cotton candy, games, and more will also run through the duration of the rodeo. At night, the saloon opens with live music and provides a fun bar scene for adults. For more information on the rodeo, visit here! Red Bull US Grand Prix – July 22-24 After the excitement of the Rolex Sports Car Series, comes the Red Bull US Grand Prix, also at the Mazda Raceway Laguna Seca. This is the biggest event for the 2011 Moto Grand Prix, and this is the seventh consecutive visit for the riders to this Monterey circuit. Three-time World Champion “King” Kenny Roberts will return to this famous track as well this year to showcase a special new Yamaha car and to drive a fan lap on the first day. In addition, there will be lots of fun entertainment and activities for fans all weekend long. For more information on the race and to purchase tickets, click here! 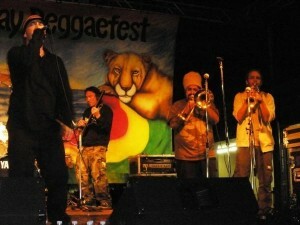 Monterey Bay Reggae Festival – July 29-31 This 3-day celebration of culture and music returns for its 16th year at the end of July at the Monterey County Fairgrounds. Often referred to as one of the best reggae festivals in Northern California, the event will feature over 20 live performances, a DJ party on the patio, full bars, and the newest addition this year which is the VIP room! There will also be a fun and safe children’s play area, which includes jump houses, a giant slide, face painting, and many other engaging activities for kids! Don’t miss out on this festival as it will be a relaxing and fun way to enjoy the beautiful outdoor Monterey weather! Visit the Monterey Bay Reggae Festival website for more details.